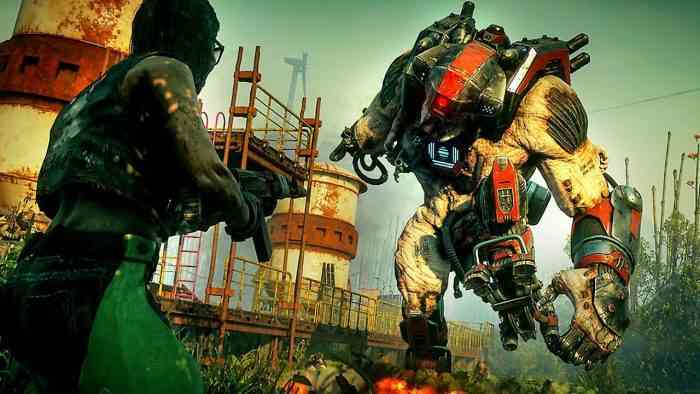 When RAGE 2 was announced we weren’t exactly sure why; the first game was something of a cult classic in that it had a very devote – albeit small – niche of players, however, once that trailer dropped we were all ears. With the release only a few months away, we had the opportunity to head down to the studio and go hands-on with RAGE 2 and see just how the apocalyptic open world from legendary first-person shooter developer Id Software was shaping up, and boy were we impressed! Check out the video below to see what we thought of our time with RAGE 2 and all the fantastic madness that ensued. RAGE 2 is an open world apocalyptic first-person shooter from legendary developers Id Software and published by Bethesda Studios. Set in a world desolate and riddled with plague, disease, mutations, and madness, you take on the role of Walker as you try to survive and get revenge in this brutally violent adventure. The studio has promised that any vehicle you see in the game can be used and the vast majority of them will be designed for maximum carnage. RAGE 2 is shaping up to be a spiritual hybrid of the DOOM and Borderlands series, so if that grabs your attention by the danglies then get ready for one hell of a ride. RAGE 2 is set for release on May 14, and will launch on PC, PlayStation 4, and Xbox One. Are you as pumped for the game as we are? Let us know your thoughts on Facebook, Twitter, or the Comments section below. For more information check out the game’s official website.